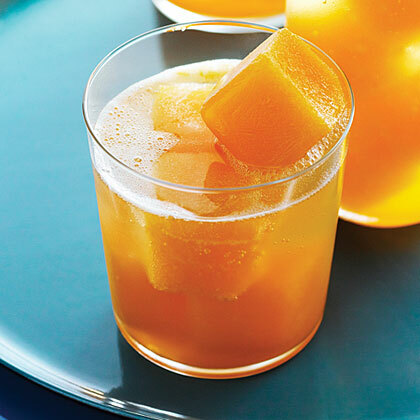 If you’ve got more melon than you know what to do with, purée it, freeze it in an ice cube tray, and use later in smoothies–or use just as ice cubes, plopped into club soda or seltzer, as we have here. Pour melon purée into clean ice cube trays. Freeze until set, about 2 hours. Divide frozen cubes among 4 glasses and pour soda over.